G7 Insight is covered by a lifetime warranty, meaning if a sensor should fail, cartridges can be replaced immediately. G7 records and data-logs all ambient and dangerous gas levels, periodically uploading this data to your own secure portal. This gives managers a transparent and complete overview of who, when, where and exactly what gases were present – without having to dock devices and download data. Adhering to gas detection compliance regulations is a crucial but time consuming practice, and human error can always play a factor. With G7 Insight, data is automatically and wirelessy uploaded providing maximum visibility to your devices compliance on your own intuitive compliance dashboard. G7 Insight provides all the tools and software needed to achieve a real-time prospective and control over compliance programmes. Over and above the flashing and alarming of standard gas detectors, G7 provides all of this data in your own portal for review and analysis. View data such as device usage and location information to see who is using equipment properly and to identify areas which may need investigation to prevent potential future issues. G7 Insight also provides location information of gas exposure, displaying this crucial information on a map of your site. 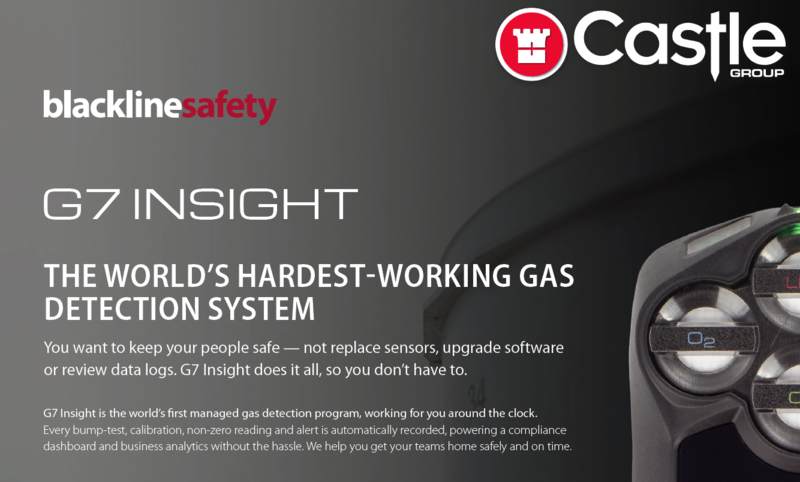 Click to find out more about G7 Insight and the G7 Connected Safety Devices or contact us for a free demonstration to find out how G7 could benefit your organisation. Call 01723 584250.